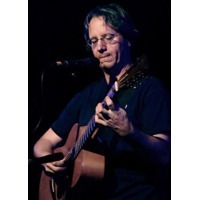 Andrew Calhoun (born 1957, New Haven, Connecticut) is an American folk singer/songwriter. He was inspired to become a musician when his mother brought home a couple of her hippie students who played guitar. Early influences include Kris Kristofferson, Johnny Cash, John Prine, Leonard Cohen, Edna St. Vincent Millay, Joseph Conrad, C.S. Lewis and Mississippi John Hurt. In 1992, he founded the artists cooperative record label Waterbug Records. His performances include works by various songwriters and poets, Scots ballads in original translations from dialect, African American sacred songs, and his own varied songbook.